This is a re-publish of an interview of Geopath, President, Kym Frank from an article by Rajiv Raghunath for media4growth on basic blocking and tackling measurement and metrics for Out of Home Advertising. 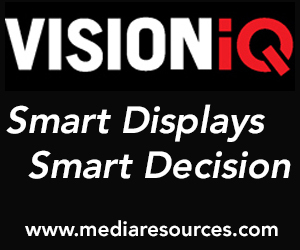 The information shared are insights for anyone in the Outdoor Advertising Industry seeking to hone their understanding of how technology is transforming OOH. Geopath works toward creating a smarter OOH marketplace. What are the most recent steps that Geopath has taken to get closer to this goal?Certainly the most significant steps are our new measurement initiatives, which we will describe in a moment, but there are many other programmes underway helping to advance the industry. One of the most important is our “geekOUT” helpdesk, which provides ad hoc research services to our member organisations. To a great extent, the “smartness” of our industry is driven by the advancement of each of our individual members. Geopath acts as a research assistant to the many who lack a dedicated research team in-house. There is a great opportunity here for our member companies to understand how to tell better stories about the consumers in their markets based upon the data and insights that are now available. It is through this process that we can help the OOH market truly advance in the overall advertising mix. That is what we want to focus upon empowering our members to do. 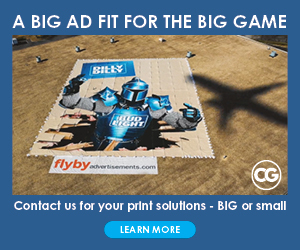 Tell us about the new measurement solution that you have launched this year and how that will help OOH advertisers to assess the real impact of their campaigns on the target audiences? Recognising marketers’ growing focus on measurement, the OOH industry in the US recently made an investment in Geopath, updating its methodologies to include data from connected cars and millions of unique mobile devices across the country. The new solution is housed in a sophisticated platform that we call the Geopath Insights Suite. This allows us to provide more granular measurement to the industry, including information about who audiences are, what they buy and what other types of media they consume throughout the day. It also gives us the ability to measure variances in audiences throughout the day, throughout the week, and throughout the year. Utilising the data we have available, we are now able to measure OOH advertising exposure in granular time increments. Last year, we were able to release data by the hour, which was the first time our membership was exposed to hourly population-level impressions. 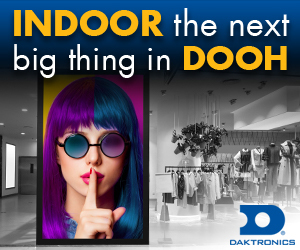 Additionally, we are incorporating more than 10,000 different audience segments to help make OOH plans more targeted. What is Geo-data and how does it support traditional OOH? There are three major sources of location data being used at scale in advertising research to understand audience. The first is carrier data, being gathered by telecom operators by interpreting cellular signals using a process called trilateration. Hundreds of observed locations for each device can be gathered each day. Information is very accurate, but location precision may be a hundred meters. There are very, very, very specific government regulations around the use cases, aggregate reporting levels, privacy protection, and security and handling of location data from carriers. The second source is through applications or SDKs. These use the core location services of a mobile device’s operating system to pinpoint location using relevant sensors (GPS, WiFi, Bluetooth, accelerometer, magnetometer, barometer). Useful location context is provided to the application and then often shared back with a central server. Data from applications can be very accurate and very precise, but the number of observations per device per day can vary greatly and occurs intermittently depending upon the app functions and number of apps installed and permissions/consent from the user. The third is bid-stream. When an ad is requested and delivered to a mobile device, either in an app or on a publisher website in a browser, there is the option of providing the location of the device in that bid request. This type of data has widely varying levels of accuracy and precision due to each publisher’s priorities. Another challenge with bid-stream data is that it is incredibly intermittent, and some devices have many observations per day while others are observed only once or twice a month. After vetting Bid-Stream Data, we found it to be too imprecise, inconsistent, and ultimately inadequate to be utilised as part of our sophisticated measurement solution. 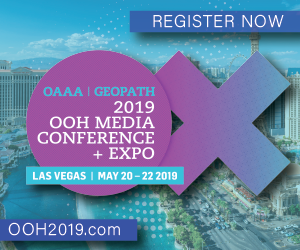 Instead, our Geopath Insights Suite includes a variety of data sources that allow us to achieve the precision and scale needed to measure OOH exposure across the entire United States. These data sources include multiple types of mobile data – specifically carrier data and GPS data. The location data resources that feed into Geopath Audience Measurement are curated by our partners at AirSage. Their relationships with mobile carriers and mobile location data companies allow them to build a diversified data resource that can be leveraged to understand aggregate population movement in a precise yet responsible way. How do you get industry-wide acceptance of the solutions that you take to the market? The drive for acceptance and adoption is an ongoing initiative and certainly one of the most crucial. We have a large number of OOH companies in the US, with some estimates ranging from 800 to 1,200 different operators across the country. This, in addition to hundreds of agencies, both large and small scattered across the US. As evidence of how important we view this need to be, our team, though small in number, spends a lot of time on the road, visiting members in their markets. Since we began development of the Geopath Insights Suite we’ve had approximately 500 meetings in more than 70 cities with nearly 4,000 people. We also use as many touchpoints as possible to get the word out, webinars, regional training sessions, one-on-one tutorials, and an online educational series. 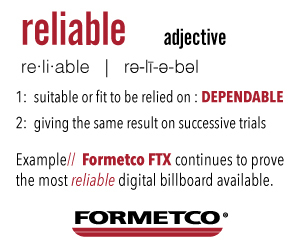 But ultimately, the strongest selling point is the need for an effective, granular industry standard for measurement and reliable third party approach. Our Geopath Insights Suite not only offers the most technologically advanced and accurate way to measure, but really a cohesive methodology for the industry to rally around. It is this coming together which is critical to our future growth. With more tech-adoption, do you see OOH business gaining a competitive edge over other media in attracting ad dollars? Certainly as better and more reliable measurement is adopted, advertisers will be more motivated to spend in OOH and sellers will be better able to identify opportunities. That is the primary benefit here from greater tech adoption. The other significant aspect is that it is enabling what some of the true advantages of OOH are in relation to other advertising categories to be defined and quantified. The reality is, OOH is one of the best measured channels available to advertisers. From cell tower triangulation to WiFi, GPS to beacons, not to mention the availability of anonymous sensors – the availability of data has skyrocketed. OOH advertising doesn’t suffer from bots, fraud, fragmentation, and it can’t be blocked like other channels. DigitiSation has been a struggle for other ‘traditional’ advertising platforms, but the OOH industry thrives on it.